I know I know I keep posting about making bread. To me cooking, baking, and canning (which I plan on learning as well) is a big part of self sufficiency and farming. Also, it’s one of the few things I can do while living in a tiny apartment. This recipe is very simple and you don’t have to wait for the bread to rise! Bring all ingredients to room temperature, about 70 degrees F.
Preheat oven to 425 degrees F. Grease an 8 inch square pan with butter or oil. Place in the oven until hot. Whisk together cornmeal, flour, baking powder, sugar, and salt in a large bowl. Add eggs, butter, and milk. Combine with a few rapid strokes. Scrape the batter into the hot pan. Bake 15 to 18 minutes until nicely browned. 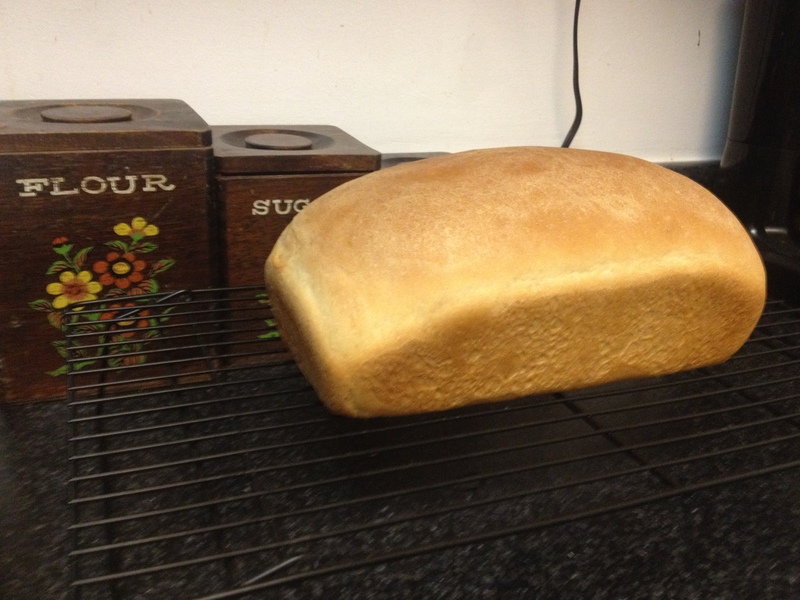 I’m still working on perfecting my bread making skills. I picked up Joy of Cooking 75th Anniversary from the library which is packed full of great recipes and has some nice tips. 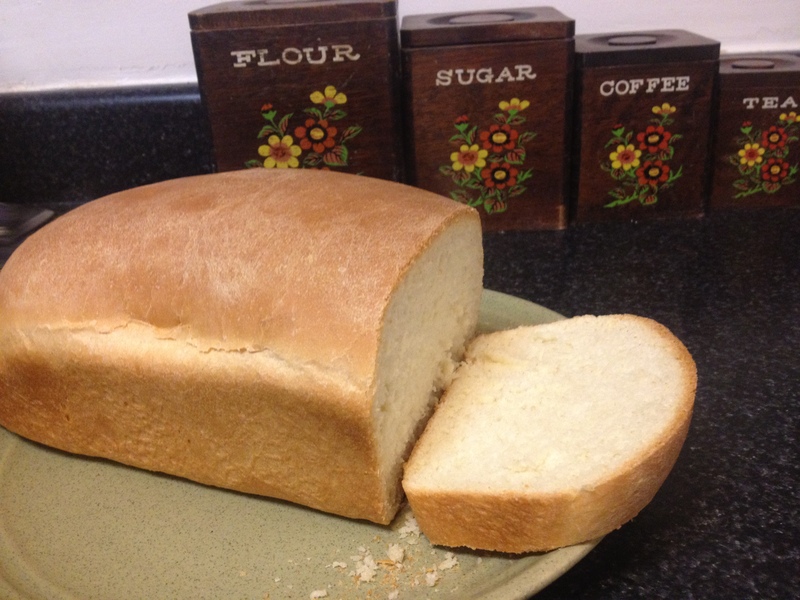 I decided to try the “Fast White Bread” recipe (pg.597) and it turned out wonderful. My other breads were very dense, I’m guessing I used too much flour, but we enjoyed them no less. 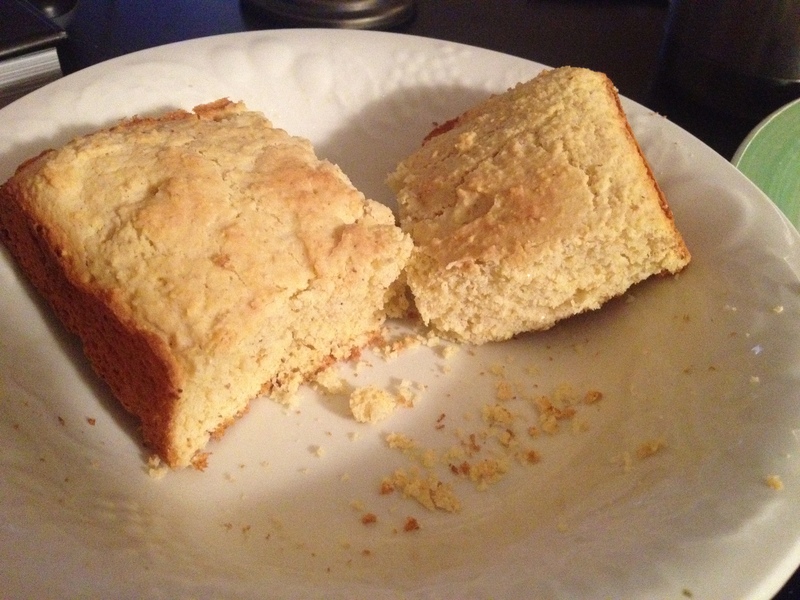 However, this bread turned out so soft in the middle and slightly crunchy on the outside. Great for sandwiches. I will definitely be using this recipe again! Stir together bread flour, sugar, yeast, and salt in large bowl. Add water and butter to mixture. 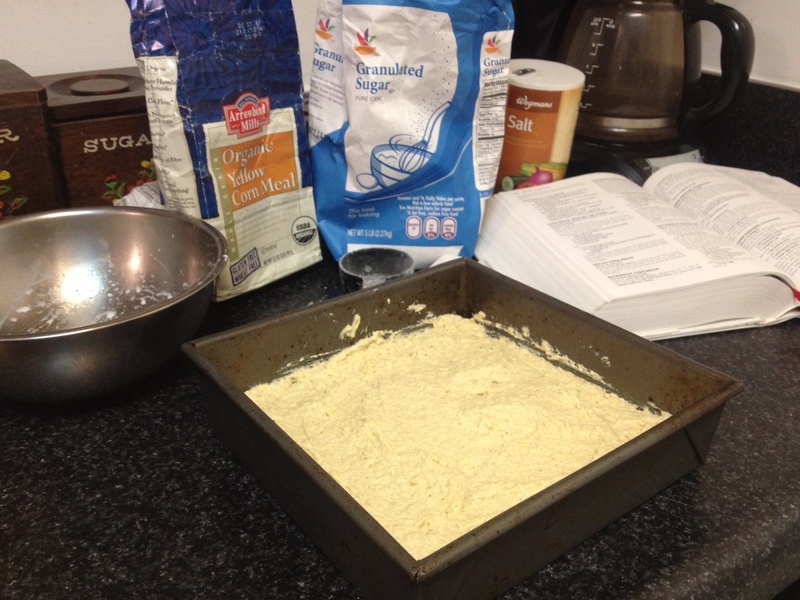 Add an additional 1/4 cup of flour at a time (up to 1 1/4 cup) until dough is moist but not sticky. Knead for about 10 minutes by hand until the dough is smooth and elastic. Transfer the dough to an oiled bowl and turn it over to coat with oil. Cover the bowl loosely with plastic wrap and let rise in a warm place (75 to 85 degrees F) until double in bulk, 40 to 45 minutes. Grease a 9 x 5 inch loaf pan. Punch down the dough, form it into a loaf, and place seam side down in the pan. Oil the surface and cover loosely with a clean cloth. Let rise in warm place until doubled in bulk, 20 to 45 minutes. Reduce heat and bake at 350 degrees for 30 minutes or until the crust is golden brown. Remove the loaf from pan and allow to cool on a bakers rack.